I'm getting a new first aid pouch but can't decide if I should go with black, same as my BOB, or go with OD green. 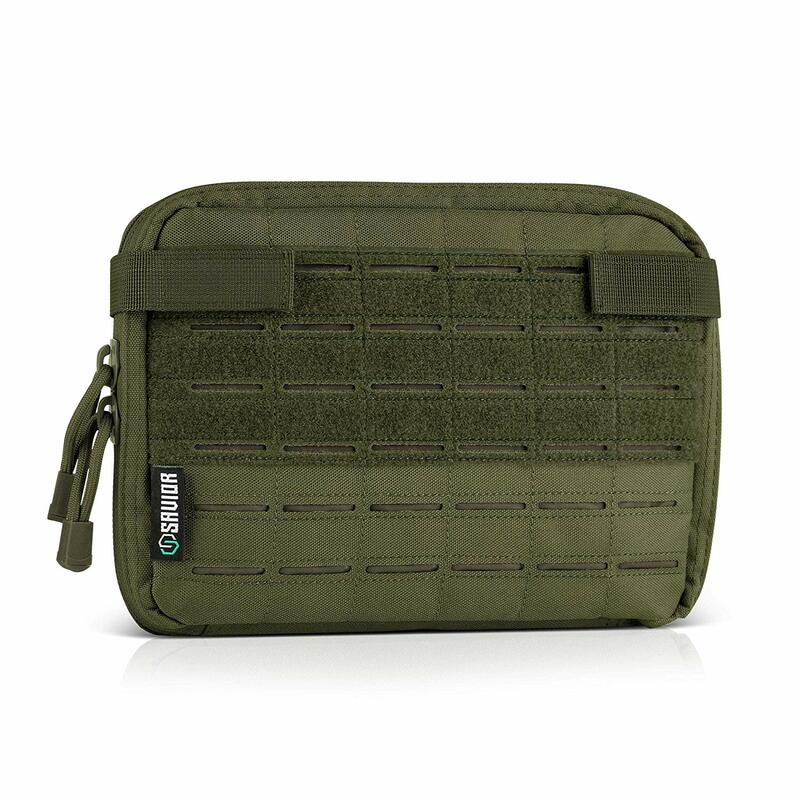 I'm thinking a couple OD green pouches attached to the outside would break up the profile and act as a bit of camo. 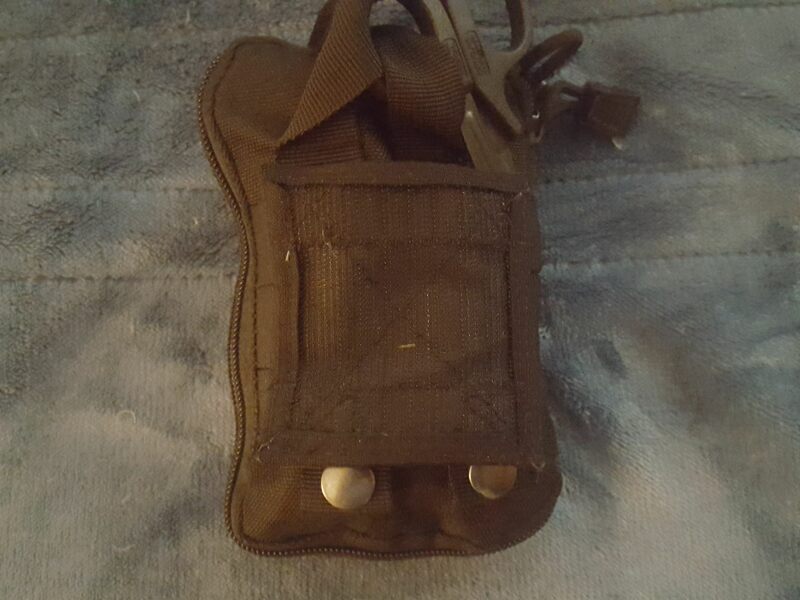 I didn't like the typical mag pouch style IFAK, it's bulky and you pretty much have to dump most everything on the ground to find what you're looking for. 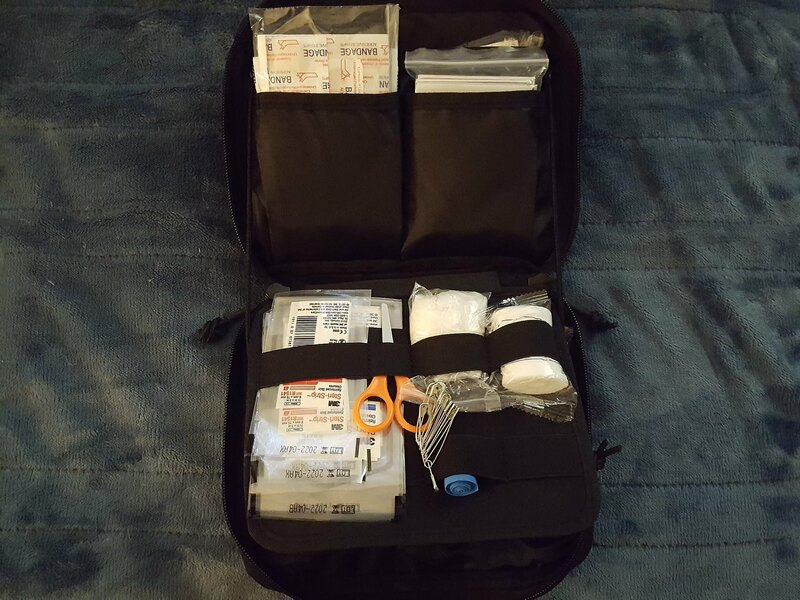 This is fine on the tailgate of the truck or in camp, but if your on the hoof in bad weather, the dark or someone breaches your perimeter and you need to double time out of the area, you could end up leaving a lot of your first aid supplies behind. So I went on the search for something with a cleaner profile and better organization. 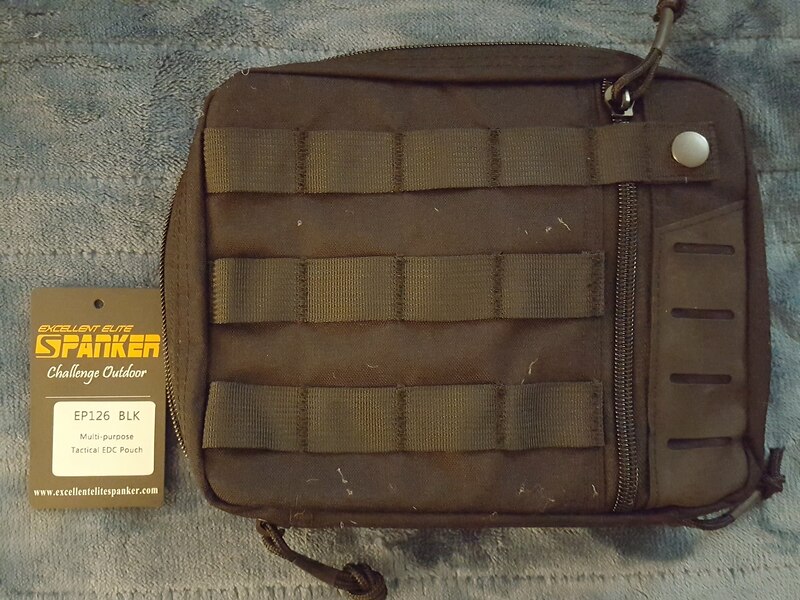 I was happy with the quality of the Elite Spanker pouch I recently bought for a IFAK on the GHB so I got another. 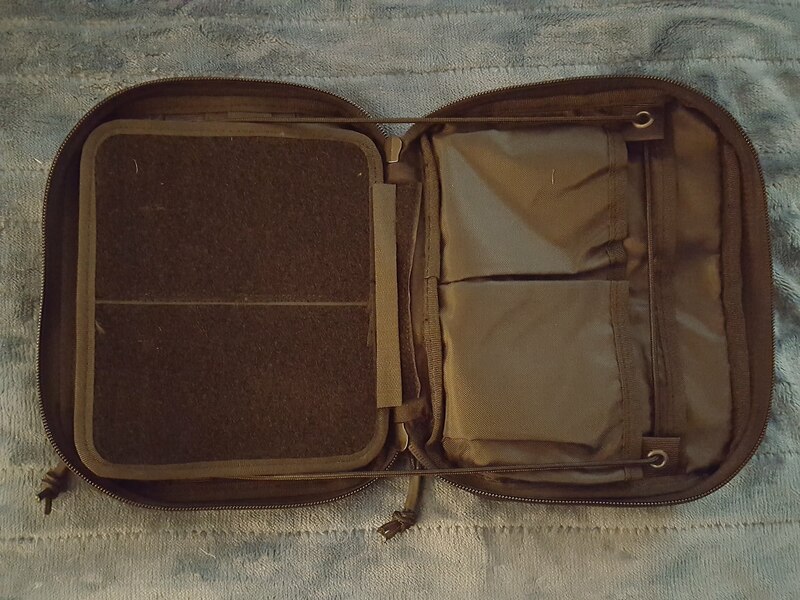 This is a typical admin pouch but a bit smaller at 8.5x7x2 vs something like 11x8x2 It is the same volume as the old IFAK but not as bulky, far better organization and it's a cleaner fit to my BOB. I really like the varying storage widths of the elastic bands which are a lot more varied than the typical 1" and 2" width arrangement. 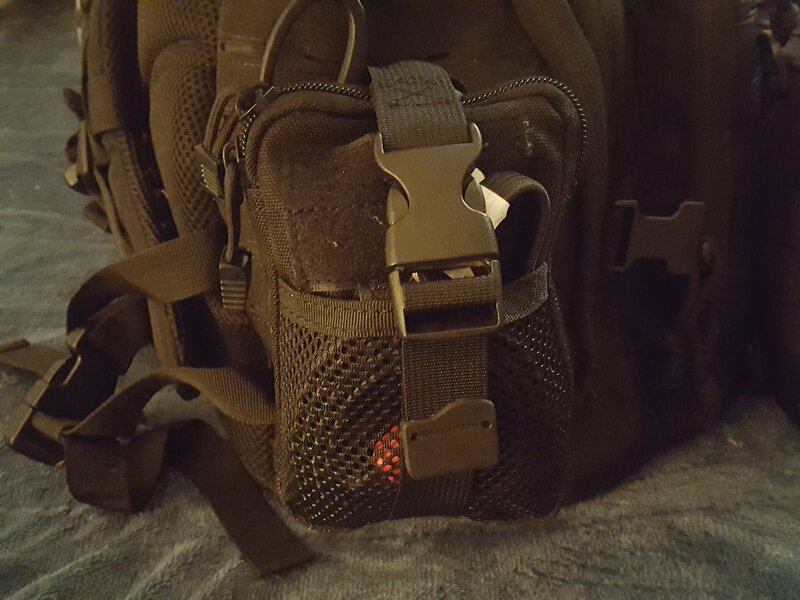 The zipper on the front will hold a first aid book, when I get one. I've been trained in first aid and CPR for work for close to 20 years, but not everyone is, so I think having a basic first aid book is a good idea. Last edited by Lunatic Wrench; 03-22-2019 at 08:01 PM. 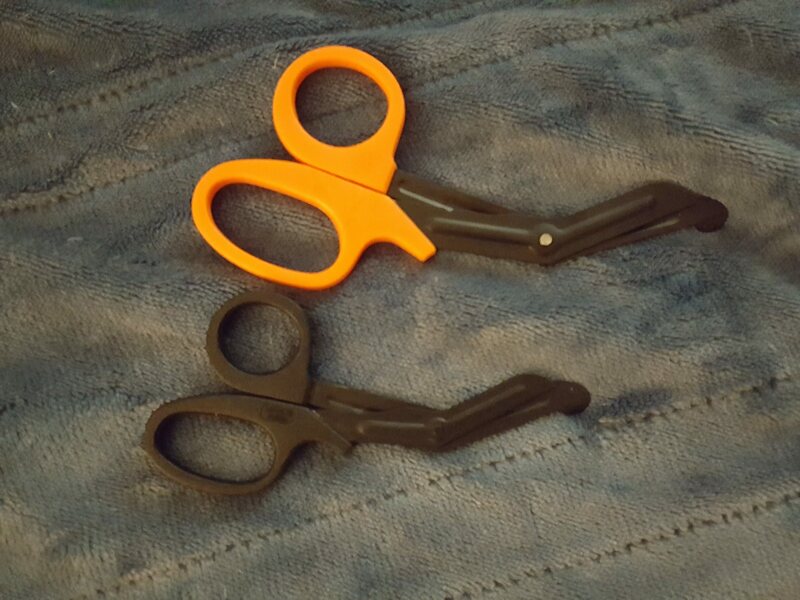 Also picked up a pair of fluoride coated 5.5" EMT shears in black for the trauma kit. 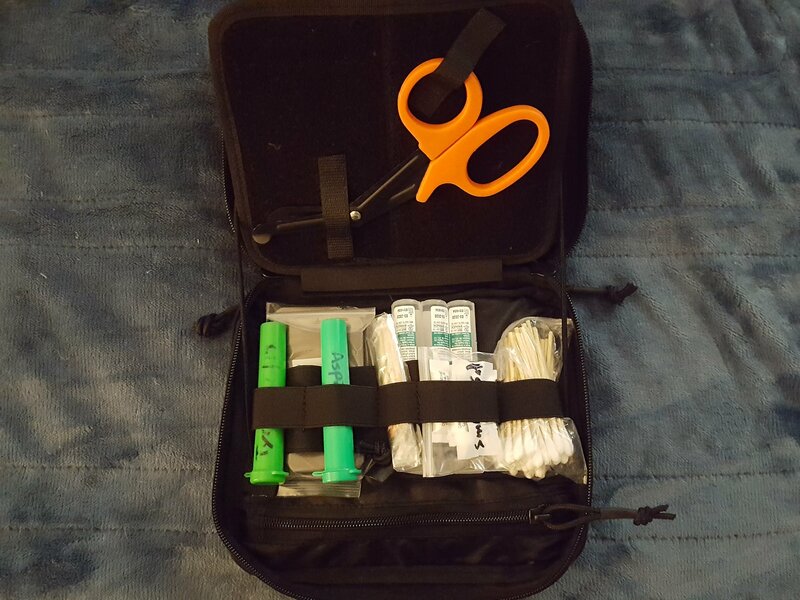 Made a retrofit tear away system for my trauma kit. 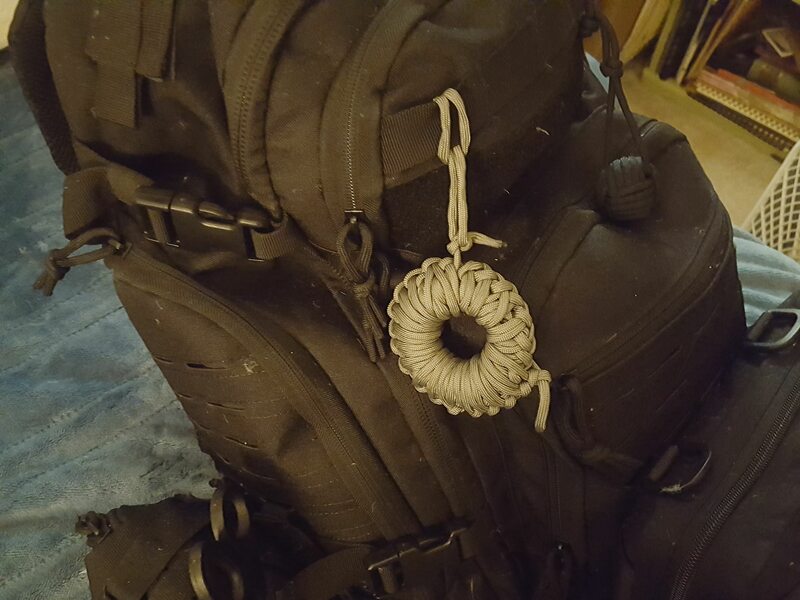 Changed out one of my 25' paracord quick deploy coils for a 30' quick deploy donut. 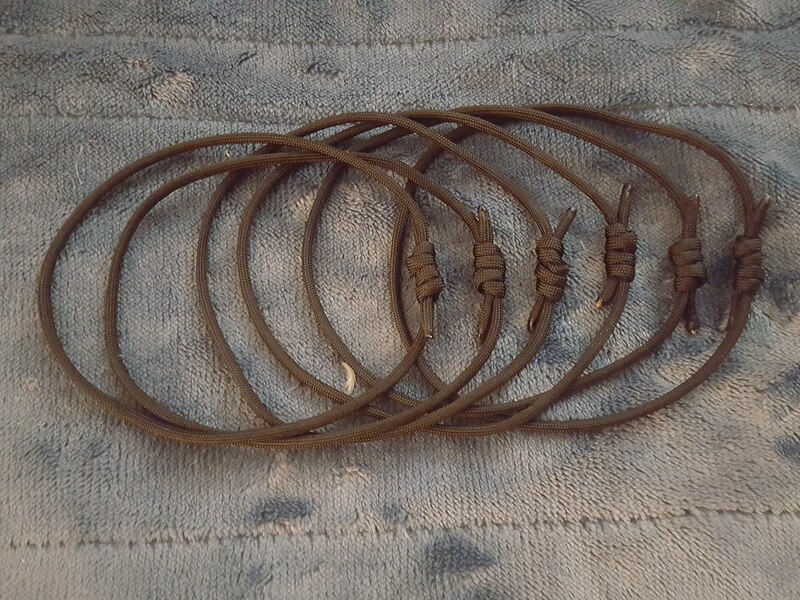 This wrap allows me to pull off a foot or as many feet as I need while still maintaining a nice neat bundle of paracord. 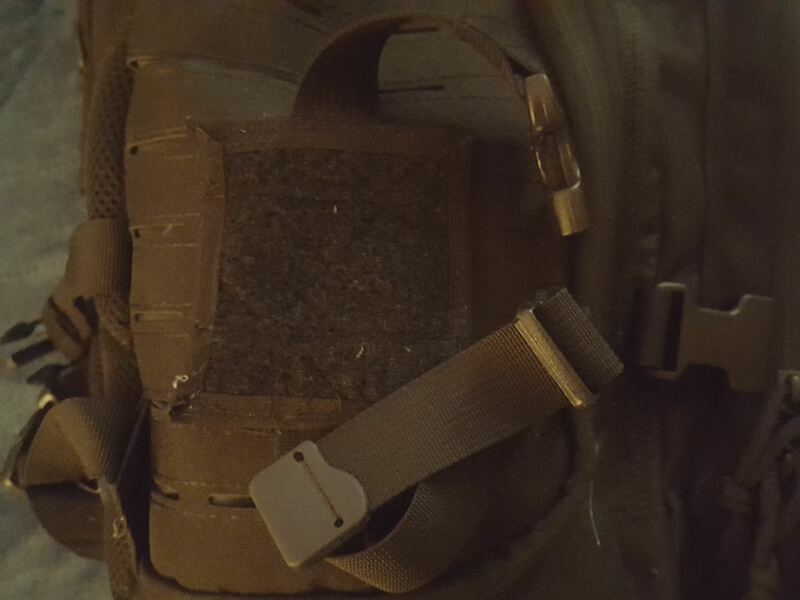 I added my own twist to it by adding a loop so I can hang it on the outside of my pack where I can get at it in a jiffy. Great thread and great choices. It does not matter what anybody thinks, it is what works for you. I think all the black will work in a city or suburban area but once you hit the rural areas I would have a can of OD Green spray paint to break up the exterior handy. 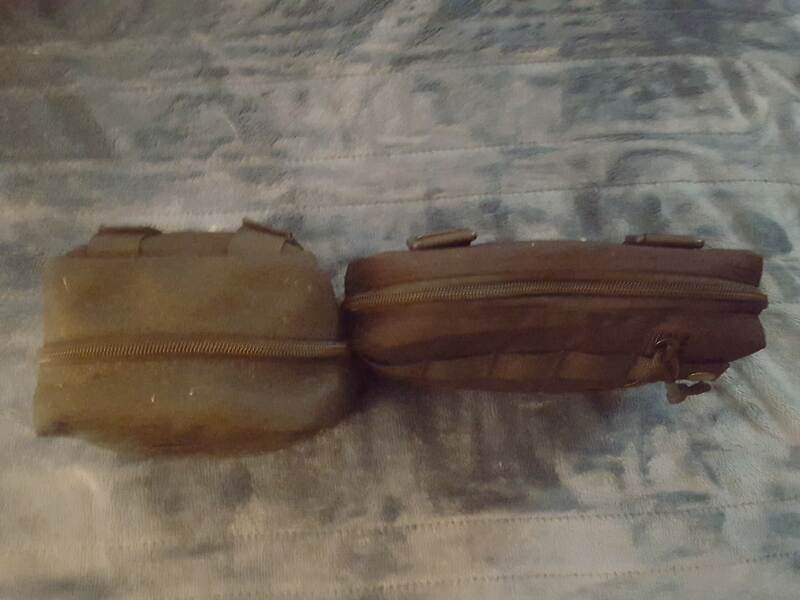 For me and family(rural) I have military bags. Its what I have trained with. We are bugging in but if we have to leave it will be INCH bags and hopefully by truck. If it is by foot then we can downsize. 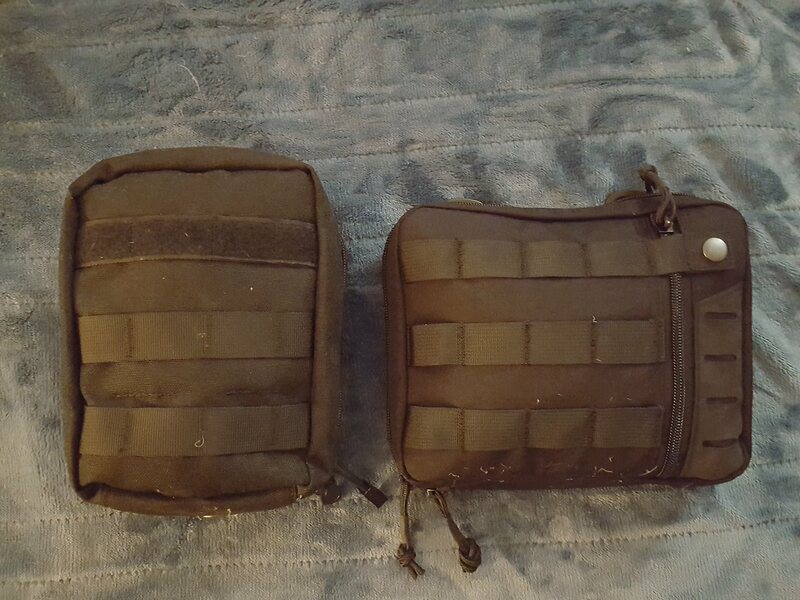 We had CFP-90 rucks with patrol bags but I got lucky and got MOLLE II bags for replacements and then later got patrol bags for them. 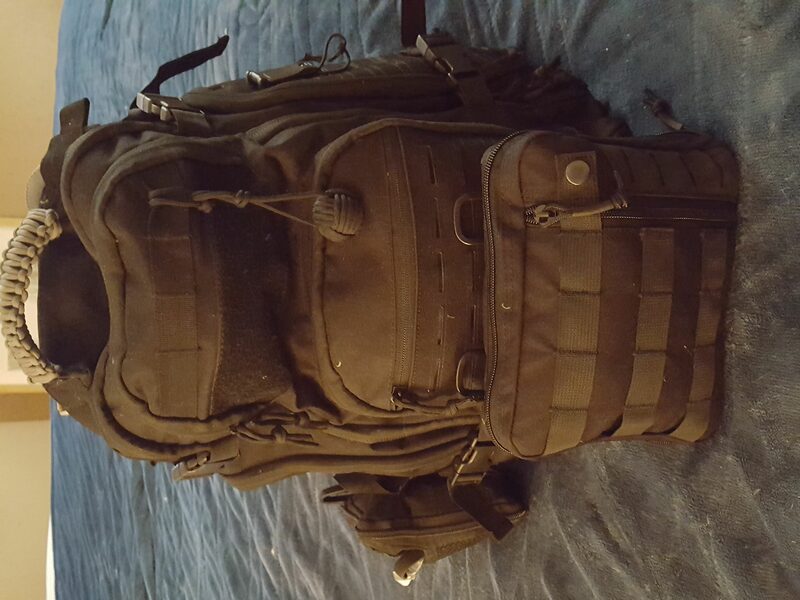 Having the patrol bags is a really nice option incase you have to drop the main ruck and move out swiftly. 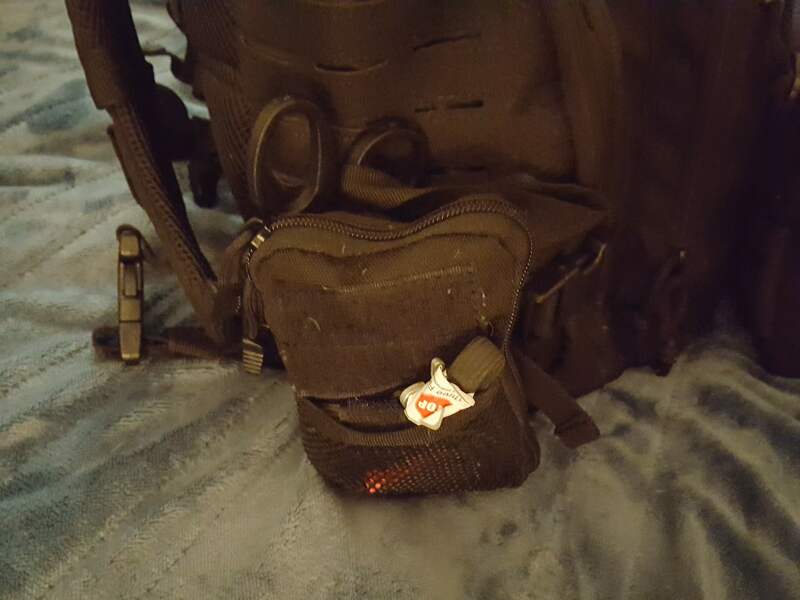 You keep your essentials in the patrol bag. 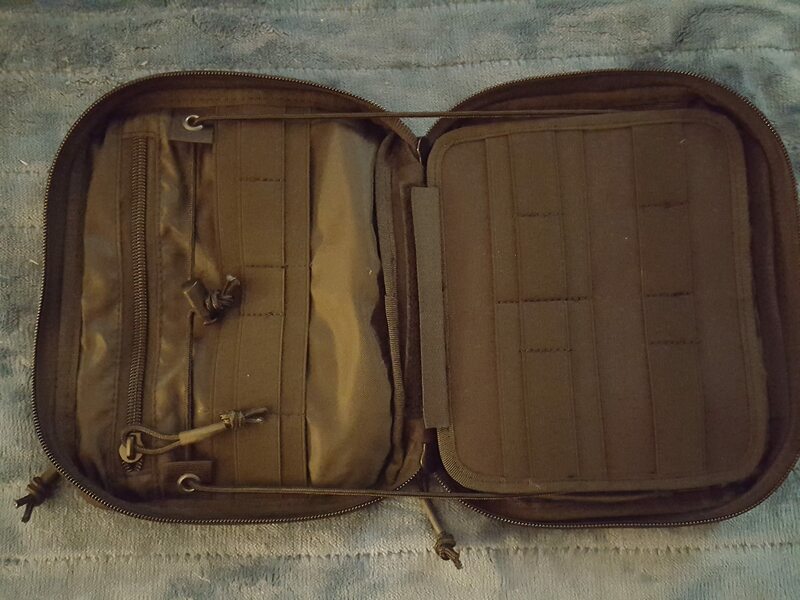 A couple weeks ago I bought 3 more pouches. Waiting for them to get here any day now. There is different editions and sizes. Make sure you get the small pocket guide like I suggested to you. This book is awesome. When things are going down you will forget things. This will be a nice reminder. Looking forward to the next post. I've got a couple SAS pocket guides on the list, just haven't chosen one yet, I'm adding this one to the list. 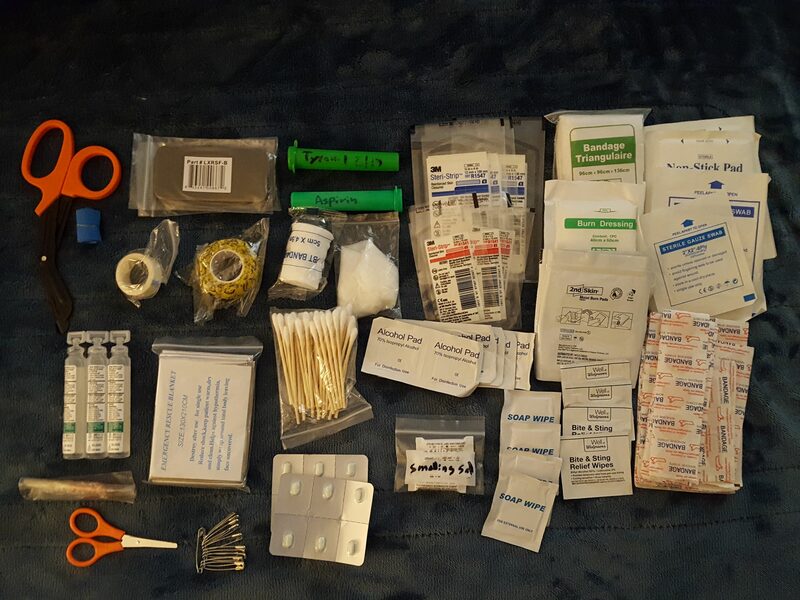 If I go down I'm going to need them for the wife, both survival and first aid. If we have to leave suburbia for the mountains it means the the region, at least, is circling the drain, I like the paint idea.